Every year, buck season approaches with the heavy anticipation of many archers and crossbow hunter dying to bag a nice buck. And yet, every year hunters will return from their outing empty handed. If you haven’t managed to make the triumphant drive home with a buck in the backseat, this article will cover some tips to change the outcome of your next trip. A tactic to try is simply locating a scrape line. A buck marks his territory by pawing the ground and urinating in the mark, giving hunter’s a hint to where a buck is likely make an appearance. A buck’s scrape tends to lie along the trails used by loggers, fence rows and simple forest paths. It’s common to see a branch hanging above the scrape, called a licking branch, which he twists and rubs with his antlers to activate the glands on his forehead, further marking the space as his own. After determining an area is a scrape line, many bowmen will target the space, waiting in hiding until the buck returns. In all honesty, this is not the best method to employ due to the extreme, innate caution of deer. It’s all too likely that the deer will spot a move made to aim your bow, though some hunters find success with this technique. If you wish to attempt this way of hunting, it’s best to build a ground blind, climb up in a tree (at least 20 feet high) or hide in thick undergrowth. Given the wind conditions and your precise, silent movement when shooting—your chances will improve. Be sure to have a polished and practiced aim, remaining intensely still until the deer is in the proper range. Another method to attract a buck is to bring a doe decoy with you on your hunt. After locating a scrape line, position the doe nearby and take your hidden stance. With a (fake) doe in the picture, many bucks abandon much of their attentiveness to their surroundings, and make a determined appearance. To encourage a buck to stop by, spray the decoy’s backside with Doe in Heat scent; maybe even embellish the ground with some fresh doe urine. In some cases, the buck will be so overwhelmed by his desire to mate with the doe decoy that taking your shot is practically doing the poor man a favor! Using a rattler to imitate a fight between two bucks can be an easy way to attract a dominant male within the scope of the area. One-handed rattlers are available for hunters to use while keeping the other hand free for faster bow retrieval, though you can also use two antlers. Make sure to recreate realistic timing, allowing a brief rest in between rattling. To make things even more accurate, try using a buck grunt, a device used to simulate a buck’s effort. These techniques can be used in times when you haven’t had time to scope out an area for scrape lines. Bring a partner along with you—one of you for simulating and one for setting up the perfect shot. If you shy away from tree stands, making your own soft mud to expose deer tracks may be a more enjoyable road to take. This method requires a little more exercise and some heavy tracking. 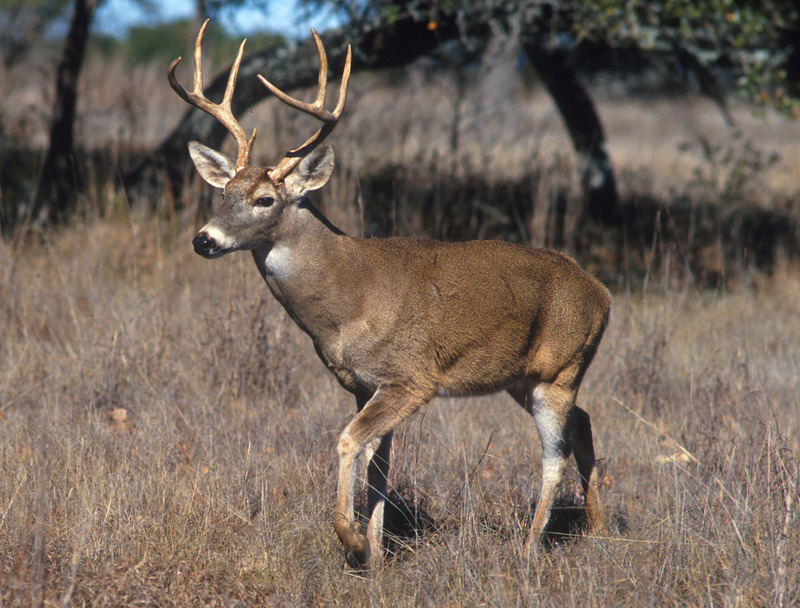 Acquaint yourself with the different characteristics of buck and doe tracks to improve your accuracy. A buck’s track is generally 2-3/4” to 3-1/2” in length, whereas a doe’s footprint will be slight smaller, from 2-1/4” to 2-3/4” in length. The space between a buck’s tracks is sometimes wider than that of a doe, and is sometimes accompanied by the imprints of dew claws. There are always exceptions to a rule, however, and these signs are not always surefire ways to tell the gender of deer you’re tracking. Judging recent tracks is not always easy, but if the sides of the print look fresh, then you have a good sign. Avoid following tracks that have crumbled or you might end up tracking a path that is 10 hours old! Whichever way you decide to go after your next buck, patience makes all the difference. Take along all of the supplies you’ll need to remain nourished yet undetected. Make a sandwich, bring a small supply of coffee, but be weary of looking away. You’ll be surprised at how many bucks visit their scrapes in the moments of your absence!